Share and edit files in group. We integrate telephony, unified messaging (the same inbox for email, voicemail and fax), corporate instant messaging, web conferences and user availability status in a single and innovative experience for the employees and staff that manages and maintains the infrastructure. We review and design the architecture of the solution, verifying from the hardware layer to the load balancer services passing through the entire software infrastructure. Our solutions are designed with a high availability solution in mind. As a fundamental mark of service we perform mailbox migrations to the new platform. We perform mailbox migration with a comprehensive testing plan that minimizes risks and outages. Such as AD, outlook, calendars, or mobile Exchange clients. 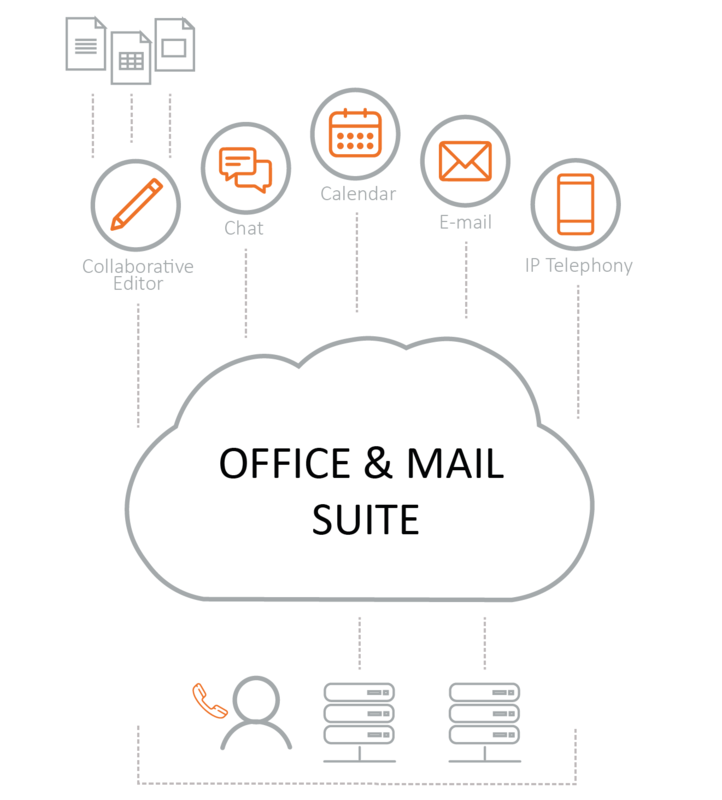 The use of different client applications, compatible with protocols such as: CalDAV, CardDAV, MAPI, AirSync or XIMSS, enabling group tasks, such as calendar, reservation of rooms, vehicles, as well as editing and sharing of text and spreadsheets files. It possible to view the shared desktop. With other applications that the clients could have, by means of the use of the CG / PL language in such a way that it is possible to obtain access to all the components and subsystems, facilitating and optimizing the integration with third parties. With medium-sized server hardware, which supports 10.000 to 200.000 users .